It is important to strengthen all areas of the body. 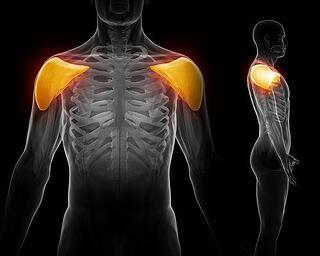 This is especially true for the shoulders because they are used constantly in everyday life. Anything you do, from carrying grocery bags, washing your car, even brushing and drying your hair involves the use of your shoulders and upper arms. Sadly, doing these every day tasks won't tone them nor increase their muscle size. That's what these workouts are for! Add theses shoulder toning exercises into your workouts, and your upper body physique will see an impressive transformation. A little muscle shape and definition can make all the difference when wearing those strappy summer tops. The barbell front raise is a great exercise to tone your shoulders. Remember to not swing back your body in order to raise the weight. Lower the weight if you find yourself doing this. You can also stand with your back against a wall to maintain proper form. Stand tall with feet shoulder-width apart. Step 1: Grab a barbell and stand up straight. The barbell should be in front of your thighs with your hands facing down. Hands should be shoulder-width apart. This is the starting position. Step 2: While keeping your torso stationary, lift the barbell to the front. Your elbows should be slightly bent. Lift the barbell up until your arms are slightly above the level where they would be parallel to the floor. Exhale as you do so, and pause for a second when you get to the top. Step 3: Lower the barbell back to the starting position, inhaling as you do so. Step 4: Complete 3 to 4 sets of 12 to 15 repetitions. The barbell upright row is a free weights exercise that primarily targets the shoulders. The only upright row equipment that you really need is the following: barbell. Step 1: Stand upright with your feet shoulder width apart. Step 2: Grasp a barbell with your palms facing downward and your hands closer than shoulder width apart. Step 3: Keep your arms extended downward with your elbows slightly bent so that the barbell is touching your upper legs. This is your starting position. Step 4: Keeping the barbell close to your body, exhale and raise the barbell straight up to your chest. Step 5: Hold for a moment and then reverse the motion back to the starting position. Step 6: Repeat for 3-4 sets of 10-12 repetitions. 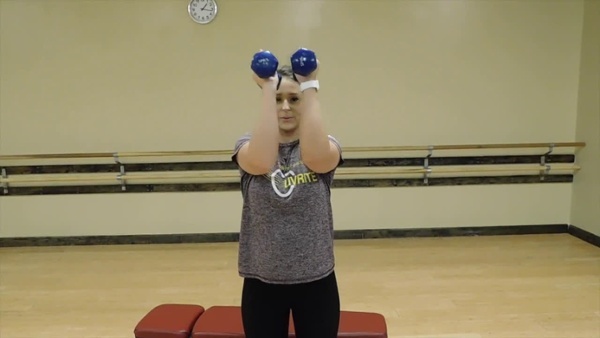 Step 1: Stand with dumbbells in hand. Raise one arm to the side and hold this position. Step 2: Raise your other arm straight out in front of you until it is parallel to the ground. Pause, then lower back down to the starting position. 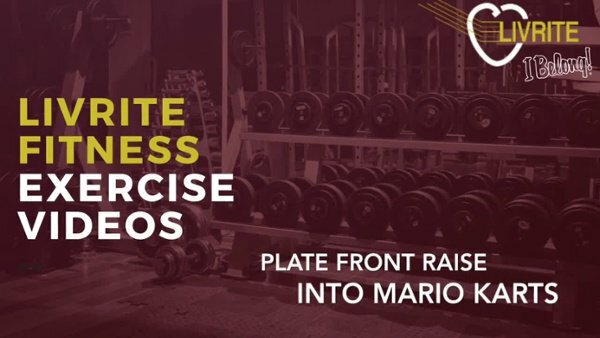 Plate front raise into Mario Karts is a free weights exercise that primarily targets the shoulders and to a lesser degree also targets the middle back and triceps. Step 1: Grab a plate and stand upright with your feet shoulder width apart. 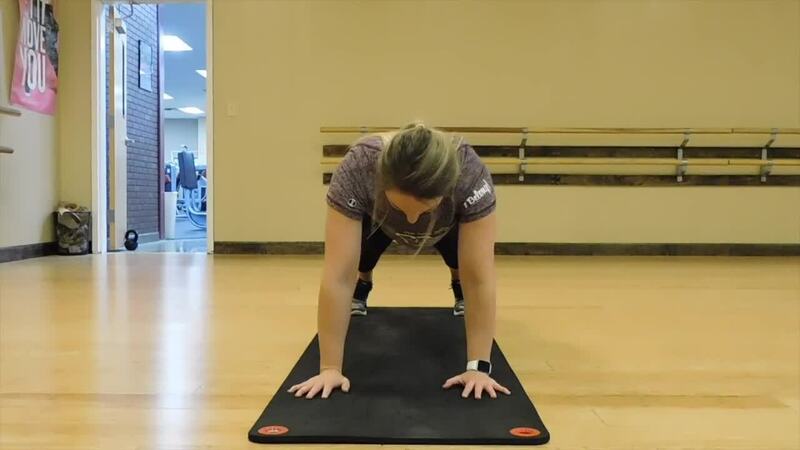 The seated dumbbell rear lateral raise is a free weights exercise that primarily targets the shoulders and to a lesser degree also targets the middle back and traps. The only equipment that you really need is the following: Dumbbells and flat bench. Step 1: Grab a pair of dumbbells and sit at the end of a bench. Let dumbbells hang down at arm's length. Palms facing each other. Step 2: Bend over at your hips until your torso is slightly above parallel to the ground. Back should be straight with a natural arch in the lower back. Gaze should be looking a few feet in front. Step 3: Begin exercise by raising arms straight out from your sides until they are in line with your shoulders, without moving your torso. Pause, then lower weight back down to starting position. 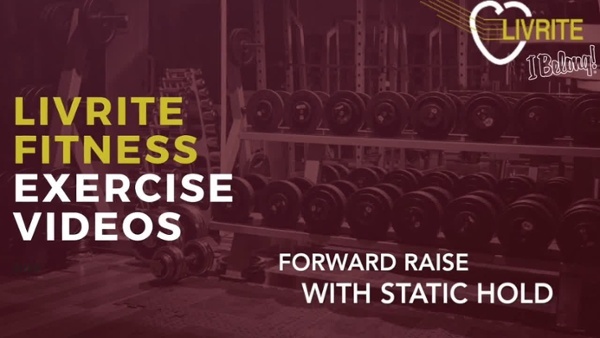 Step 4: Repeat for 3-4 sets of 10-12 repetitions. 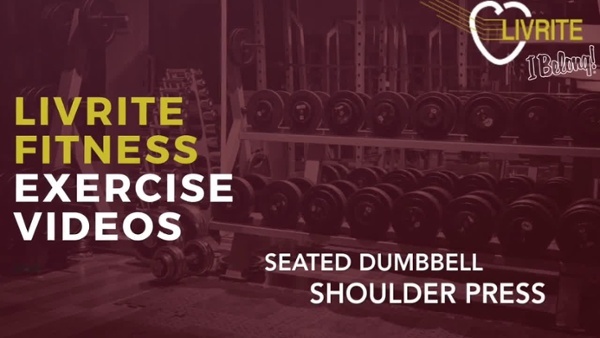 The seated dumbbell shoulder press is a free weights exercise that primarily targets the shoulders and to a lesser degree also targets the chest and triceps. The only seated dumbbell military press equipment that you really need is the following: dumbbells and incline bench. Step 1: Grab a pair of dumbbells and sit down on a upright bench (90-degrees). Rest dumbbells on your thighs. Step 2: Begin exercise by bringing the dumbbells up to your shoulders... This can be done by quickly raising one leg at a time to assist in getting the dumbbells up to your shoulders (Do not try to just raise them up with just your arms). Step 3: Dumbbells should now be just above your shoulders with palms facing forward and elbows perpendicular to the floor. Step 4: Now, start exercise by taking a deep breath and then exhaling as you push dumbbells straight up above your head. Pause, then lower weight back down to shoulders and repeat. Looking for more great exercises? 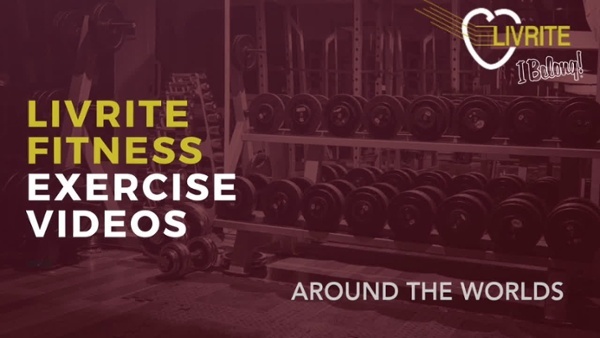 Check out the LivRite Fitness exercise library.